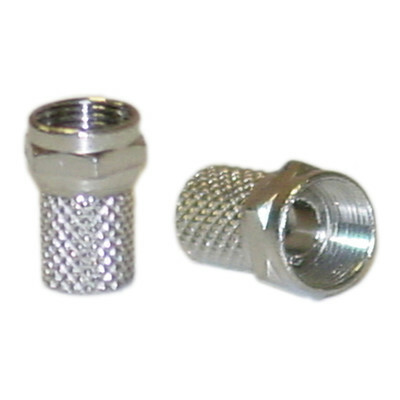 This is a twist-on F-pin connector for RG6 cable. This adapter will give any RG6 cable an F-pin connection on one end. Before you buy, MAKE SURE you're not using quad shield RG6. These don't even come close to fitting.